At the very moment when we should be remaking politics, we have at our disposal only the pathetic resources of “management” and “governance.” (Latour, 2017: 107-109). “numbers are used as ‘automatic pilots ‘ in decision-making, they transform the thing being measured – segregation, hunger, poverty – into its statistical indicator, and displace political disputes into technical disputes about method ” (Rose, 1999: 205, cited in Agrawal 2005). 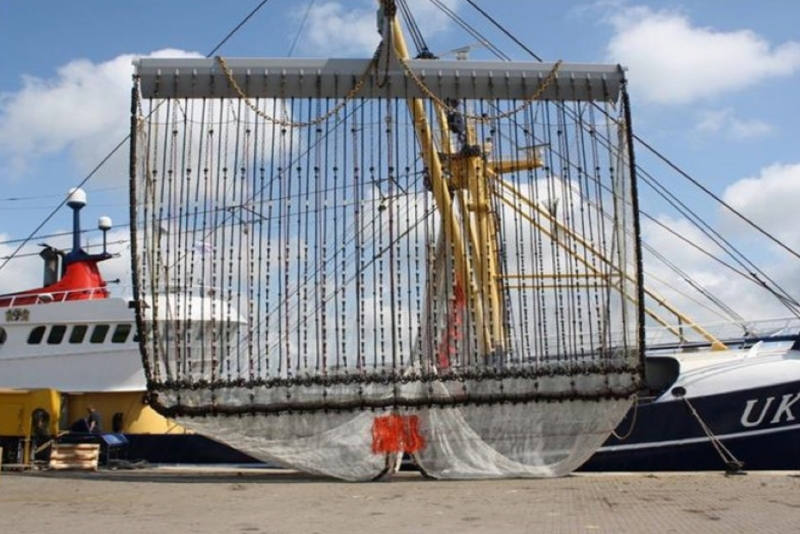 Somewhat in the shadows, over the months prior to this, relatively quieter moves have occurred with respect to the discussion concerning the mainstreaming of pulse trawling – a type of trawl that uses an electric current to shock fish off the seabed – in European fisheries. While technically the practice of electrocuting fish is banned in the EU, the fishing method has nonetheless crept in over the past number of years under the guise of being research based – allowed on an experimental basis until now, but increasingly looking set to get the OK and threatening to become more widespread in Europe. Since 2010, due to successive experimental allowances today there are over one hundred boats, largely confined to Dutch vessels, engaged in this type of fishing, with most of these active in the North Sea. Since July 2017 there have been indications from the Commission that the practice is set to get the go-ahead from the EU (Fishing News, 2017), and in November 2017 the Parliament’s Fisheries Committee voted to allow continued trials of the practice, raising fears that the practice might be rolled out across Europe (for more on this see, British Sea Fishing, 2017). Hailed in terms of its greater fuel efficiency, thus lighter carbon footprint vis-à-vis traditional beam trawling, and also in terms of its potentialities for decreased bycatch (a hot topic in European fisheries as 2019 fast approaches and full implementation of the Landing Obligation becomes a reality), on the flip side there are significant knowledge gaps with respect to the long term impacts of Pulse trawling. What is for sure, however, is that this method most certainly seems capable of: increasing the efficiency of fishing (raising questions as to whether what we need right now is to become more efficient at catching fish than we have become with previous ‘technological advancements’), expanding the areas where these boats can fish, thus (further) displacing small scale operations (O Riordan, 2017), and raises significant ethical questions as to whether we think it is reasonable to electrocute fish. While fisheries managers have allowed for the experimentation to continue, essentially facilitating the creep (to the point of no return? ), those who fish for a living have been at the forefront, as has historically (though often unsuccessfully) been the case, at highlighting the dangers and destructiveness of the fishing method, and the impacts that they are already feeling. In this respect, fishermen, in particular inshore fishermen, have been exceptionally vocal with respect to their observations on the water, which suggest the very real violence of the practice, with declines in sole, cod, and seabass already apparent since the introduction of the pulse fishing, with some reporting that they are seeing large quantities of dead fish out on the water (Percy, 2017). This blog post considers the connection between the politics of counting fish, and the types of discussions it has hitherto succeeded in silencing, or in the very least relegating to the side-lines, for example, in terms of the types of fishing that are acceptable. Pulse fishing is just one of these issues. Many of us will be all too familiar with the raft of criticisms that have been levelled at the Common Fisheries Policy since its inception. One that always strikes me as interesting is the criticism that has been levelled at the horse-trading that goes on at the Councils – seen as the political moment in the management of fisheries in Europe. Really? Is this the most political moment in this arrangement..? In line with the character of calculability that has characterised and defined much of the politics of the twentieth century, more generally, becoming the regime of knowledge of that century (Mitchell, 2002: 86), counting fish has become central to the endeavour of fisheries management. Indeed, over the past century and a half in an effort to render the seas legible and manageable (appropriable? ), nothing seems to have captured the imagination – of states, scientists, managers and increasingly non-state actors – more than counting fish, and parcelling the sea into first state, and increasingly individual property. This fetishization of the quantification and propertization of everything has not come without its cost. Fisheries have collapsed while under stringent scientific management, livelihoods (and ways of life) have been lost, and coastal communities the world over struggle for existence. There is nothing natural or inevitable about this. For all intents and purposes: this was by design. Nuanced readings of this history have increasingly highlighted the relational shifts that have occurred alongside these processes that have underpinned the scientific management of fisheries, coinciding directly with the timeframe – from around the mid twentieth century – within which the real zeal for counting and parcelisng fish and the sea really took off (Bavington, 2009). Under the guise of management (deeply entangled from the start with the technological industrialisation, and capitalisation of fisheries), community based, labour intensive, and relatively low tech fishing has increasingly come under pressure (Johnson et al, 2009), as has fishing with the seasons. In contrast, very often managed fishing today involves essentially mono-harvesting the sea for often distant global markets. Fish are discarded in high quantities by fishermen and women, attempting to comply with (while also making a living) the ontological god-trick underpinning management, according to which perfect selectivity is seen as achievable and desirable. As indicated, these relationships did not naturally shift, but rather have – certainly in some instances – been radically displaced, altered and eroded by the quantitative advancements and understandings of the Enlightenment (so beloved of policy makers) that came to underpin traditional scientific fisheries management, and through which nature (including human nature) came to be understood as a productive economic machine with policy makers in control…with anthropocentric environmental ethics focused on instrumental industrial interests at their core (Bavington, 2011a). Just as TACs have played a pivotal role in these developments (Johnson et al 2009), so too has the holy grail of science versus politics (Holm, 1996; Johnson et al 2009) – numbers versus values (aside from computational or exchange values). In this sense, numbers have lent themselves to a depoliticising of management, providing precise apolitical representations for managers, whilst simultaneously displacing relations (Agrawal, 2005), and erasing in one swoop signs of arbitrariness, scars, abnormalities, and traces of violence (Mitchell, 2002). From this angle, the post-political hue of current fisheries management makes sense. From this angle, that (despite the myriad of unknowns and knowns with respect to why we might pause to question whether pulse trawling is reasonable, not least the very raw ethical issues surrounding the electrocution of fish, and what that says about our relationship to non-human nature) there appears to be no reduction in the headlong rush by managers and beam trawl fishermen for this sort of gear (Percy, 2017) seems less puzzling. Unfortunately, within fisheries management, counting fish, technological modernisation, and economic rationality have always held sway (Johnson et al 2009), dictating who can fish, how, where and for what (Bavington 2009). There are today countless examples of the irrationality of this rationality – moving to allow pulse trawling in Europe seems set to become just another of these. Over the past decades, in light of, for example, hard-to-ignore stock collapses, fisheries science has become more attuned to the uncertainties surrounding counting fish, and there has, by some accounts, been a paradigm shift within this space. While this may be so, it is not clear whether ongoing theoretical shifts have manifested more practically (Bavington, 2011a; 2011b), nor that these would be good enough anyway (Hubbard, 2017). Certainly within fisheries management practice the naturalisation of TACs, and quotas remains, and it seems almost impossible to imagine a scenario whereby counting fish might not remain a focal point of management. Returning to the December Councils of 2017 – great, the amount of fish being caught in Europe is increasingly being brought into line with what has been shown to be essentially a political construct as much as anything scientific, and has proved instrumental in allowing powerful fishing nations to enclose fisheries where it suited them, and access them where they remained (for an excellent account of MSY as a concept see Finley, 2011). The struggle thus remains centred on who gets to catch these fish, and though there have been some minor successes in perhaps thinking in terms of allocation, as long as accounting and economism remains central for managers, it is not convincing that fish, fishermen or women, or fishing communities will survive, without sustained and committed discussions of how we fish, and how we live with each other, including non-human others. These are not questions that (faux depoliticising) numbers can answer, but rather require contestation and, by some accounts the remaking of politics entirely. In short, unfortunately, so long as fisheries management remains obsessed with calculating, and allocating portions of fish as if they were terrestrial resources, as if there was no other way, the chances of this shift seem slim, and it looks unlikely that we will move beyond the failings of the past, and the inequitable relations that such a strategy has propagated and continues to propagate between people and fish….and that probably means the mainstreaming of electrocuting fish. Agrawal, A. (2005). Environmentality: technologies of government and political subjects. Bavington, D. (2011a). Environmental History during the Anthropocene: Critical Reflections on the Pursuit of Policy-Orientated History in the Man-Age. Bavington, D. (2011b). Managed annihilation: an unnatural history of the Newfoundland cod collapse. UBC press. Branch, T. A., & Kleiber, D. (2015). Should we call them fishers or fishermen? Fish and Fisheries, 18(1), 114-127. Campling, L. (2012). The tuna ‘commodity frontier’: business strategies and environment in the industrial tuna fisheries of the Western Indian Ocean. Journal of Agrarian Change, 12(2‐3), 252-278.
de Haan, J., Fosseidengen, J.E., Fjelldal, P. G., Burggraaf, D., Rijnsdorp, A. D. (2016) Pulse trawl fishing: characteristics of the electrical stimulation and the effect on behaviour and injuries of Atlantic cod (Gadus morhua). ICES Journal of Marine Science (73) 6. Finley, C. (2011). All the fish in the sea: maximum sustainable yield and the failure of fisheries management. University of Chicago Press. Hubbard, J. (2017). Fisheries Science and Its Environmental Consequences. Oxford Research Encyclopedia of Environmental Science. Retrieved 8 Jan. 2018, from http://environmentalscience.oxfordre.com/view/10.1093/acrefore/9780199389414.001.0001/acrefore-9780199389414-e-370. Latour, B. (2017). Facing Gaia: eight lectures on the new climatic regime. John Wiley & Sons. Mitchell, T. (2002). Rule of experts: Egypt, techno-politics, modernity. Univ of California Press. Moore, J.W., 2012. ‘Cheap Food & Bad Money: Food, Frontiers, and Financialization in the Rise and Demise of Neoliberalism’. Review: A Journal of the Fernand Braudel Center, 33 (2–3). One might reasonably consider here that in terms of the requirements of experimental gear testing that over 100 seems like a lot of boats engaged in a fishing method where basically our knowledge as to its impacts are pretty thin on the ground. In this sense, pulse trawling surely represents a commodity deepening strategy; that is the intensification of production strategies in a mature frontier through, for example, enhanced socio-technical innovation (for a discussion on this concept see Campling 2012; Moore, 2012). In this respect, for example, studies have indicated that while information about the wider ecosystem effects of the practice or the impacts on all species within these ecosystems remains somewhat limited, in terms of gadoids (cod, haddock, whiting etc. ), there is evidence to suggest that pulse trawling can lead to haemorrhages and muscular contractions which cause breakages of the spine (for example, see de Haan et al, 2016). Fishermen have reported catching damaged fish with broken backs and burn marks (Fishing News, 2017). The use of the term fisherman here is not to denote any gendered bias, or exclusion, but rather is used to denote anyone who fishes for a living. At other times in the post the term fisherwomen is used – the same premise applies. For a discussion on this see Branch and Kleiber (2015). It should be qualified here that fisheries management has a rather short history, if one considers the much longer history of humans and fish (Bavington, 2011b). Further, it is also worth considering that while, to date, community based (often small scale, and family based) fisheries have persisted in the face of this onslaught, this reorganisation (read homogenisation, consolidation, rupture, extinction…) of fisheries is an ongoing, if sometimes creeping, process, perhaps most fundamentally evident in countries with explicitly privatised management regimes, but also evident in different degrees in regimes that have hitherto resisted privatisation. Nonetheless fish remain understood – certainly by managers – as commodities, a resource (Bavington, 2009), in some instances highly financialised assets. People who fish are increasingly deemed objects of scientific management (Bavington, 2011). In short, the assumption that nature (including human nature) remains subservient to human control (Holm, 1996; Bavington, 2011b) shows little sign of abating.